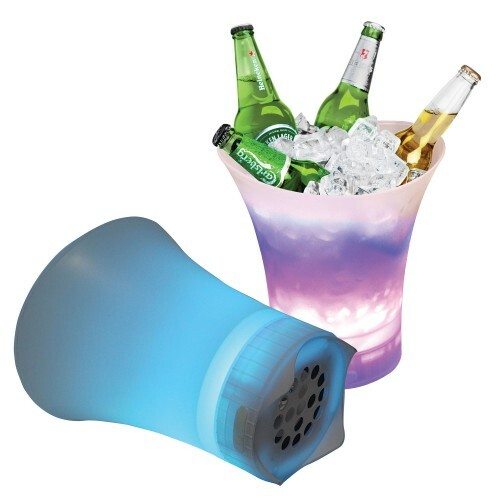 The Laser ultra-portable Ice Bucket speaker is a great option for indoor and outdoor listening. A perfect addition to any party. With a built-in rechargeable battery powering the LED lights that pulsate to the Bluetooth connected music. Bring it along to the next BBQ, picnic or event to keep your drinks cold. The speaker base and bucket detach for easy cleaning.